Call for student proposals for the Google Summer Code 2019. Onassis Foundation Scholarship Program for the Academic Year 2019-2020. Participation in the AIESEC Global Volunteer program. As. Prof. I. Nikolaou was appointed Editor-in-Chief of the International Journal of Selection & Assessment. Open Call for innovative ideas in Designscapes contest. DMST 1st in the preference of candidates in the 4th Scientific Field! Through continuous distinction in student competitions, the Department confirms his commitment to excellence. "Best Data Showcase Award" distinction for Business Analytics Lab of the Department. Students from the Department won the first prize at the JA Start Up 2018 student contest. Students and graduates of the Department were awarded the first three awards in the Startups d.Day competition. As. Prof. Em. 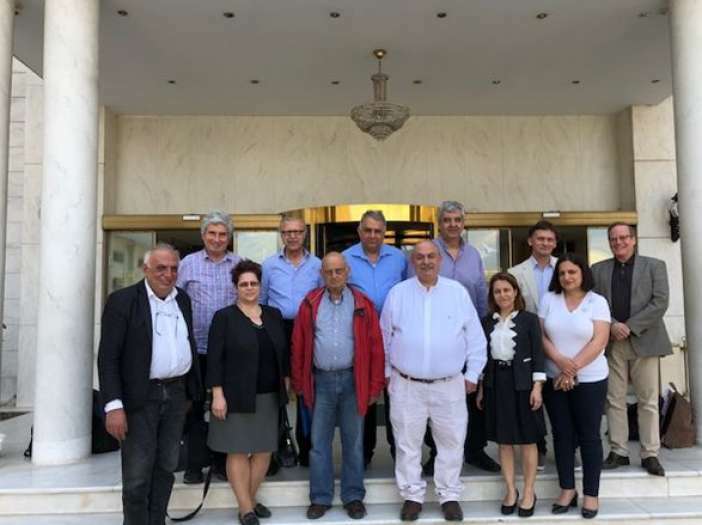 Kritikos was unanimously re-elected as General Secretary of the Board of Directors of MASSEE. Conference theme: "Management AI: Deep learning in reinventing business process optimization". An informative event presentation of Department's streams of study took place. 6th EAWOP summer school will take place from the 2nd to 6th of June 2018. 01 What are the research activities of the department? The research activities of the Department focus on the following subjects: management science, operational research, e-business and e-commerce, logistics and transport, information systems, enterprise resource management, innovation management and entrepreneurship, strategic management and planning change management, organizational behavior / psychology and human resource management, mobile business, business intelligence and data mining, interactive media design, information systems and business reengineering, software engineering, programming languages ​​and security systems, electronic marketing, business research, financial and quantitative applications, financial engineering. The faculty members, doctoral students, researchers and students of the Department have published numerous articles in leading international journals including journals with high impact factor which are among the leading journals of the respective research areas. It should also be noted that more than 320 works of faculty members, doctoral candidates, researchers and students of the Department have been presented at international conferences, 9 of which have received the Best Paper Award at conferences of international scope, such as: Academy of Management, International Conference on Industrial Engineering and Engineering Management, International System Administration and Networking Conference, and more. Another element that emphasizes the presence of the Department in the international academic community is that at least 15 faculty members are members of editorial boards in at least 41 international journals. Finally, the faculty members and the researchers of the Department received many awards internationally, and over 15 faculty members have books published internationally by major publishing houses abroad in several languages​​, including English, Russian, Chinese, Japanese, Polish and Korean. 02 Which courses are offered for Erasmus students? During the operation of the program in our Department (2002-present) 449 students participated. These students studied abroad for a semester or a whole academic year with successful results and returned to the University with an excellent impression of their experience.